Illustrator // In love with learning & H pencils. My moodboard for the Spring Challenge is inspired by pops of colour that creep into modern fashion collections and mimics the idea of a new flower bud bursting in Spring. I'm inspired by flowing lines, intricate details and layers of leaves and beds of flowers. I tried to be very quick when drawing a mark making to make more fluid sketches, which is quite different from my usual style. I tried to keep a strong focus on lines and shapes that could be easily translated into Illustrator. Following the tutorial, after pencil sketching I went to Illustrator to start to draw and compile my images of Spring. 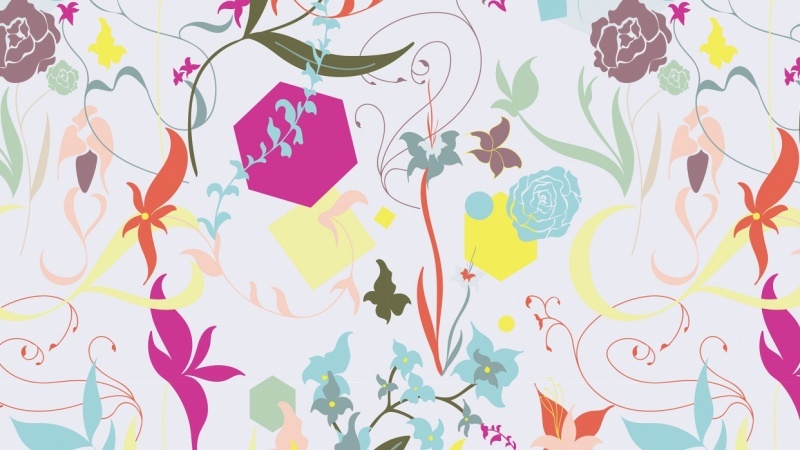 I drew each element individually, before playing around with geometric shapes layered with them to convey the modern idea of Spring that I would like to depict in my pattern.